Lonely Planet's England is your passport to the most relevant, up-to-date advice on what to see and skip, and what hidden discoveries await you. Ponder the mysteries of Stonehenge, visit Shakespeare's home town and take in a London show - all with your trusted travel companion. Get to the heart of England and begin your journey now. 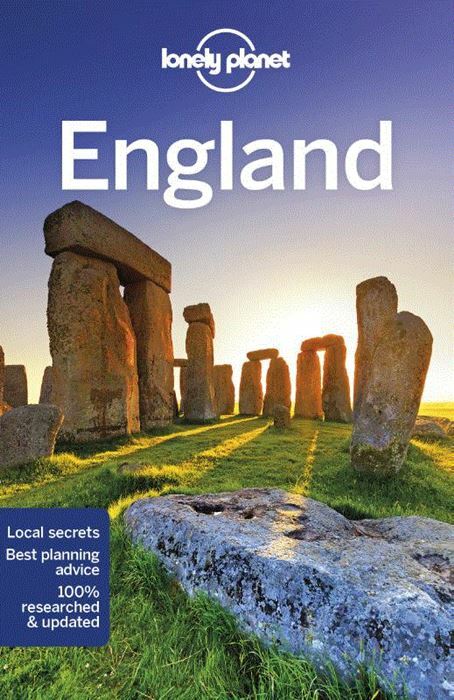 The Perfect Choice: Lonely Planet's England is our most comprehensive guide to England, and is perfect for discovering both popular and offbeat experiences.Looking for just the highlights? Check out Pocket London, Pocket Bath, Bristol & the Southwest, Pocket Oxford & the Cotswolds and Pocket The Lake District, our small, handy-sized guides featuring the top sights and attractions for a shorter visit or weekend away.